Wood chess boards come in many different types of wood, sizes, and designs. 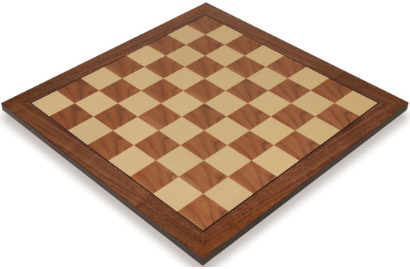 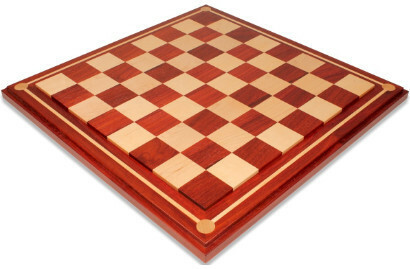 Wood chess boards can be used with almost any type of chess set including wood, metal, and theme. Nearly all wood chess boards made today are inlaid boards meaning a real wood veneer is used over an engineered wood material like MDF (medium-density fiberboard). 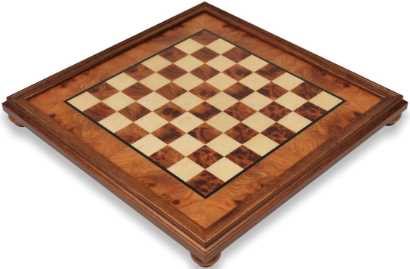 Inlaid boards are much less expensive than solid wood boards and in many ways are far superior to solid wood boards that can warp, crack, and split. Our wood chess boards come from the top manufacturers in the world including Italfama in Italy, Rechapados Ferrer in Spain, and Mission Craft here in the USA. We offer all of the most popular types of wood and designs with each board available in the most common sizes. Refer to our Chess Board Guide if you need help determining what size of chess board you need.